By Bola Sokunbi. Published on December 12, 2016. As a business owner, pricing your products and services can be confusing and tricky but pricing the right way is an important part of your business finances because your pricing is a key determinant in how much money your business makes. One of the biggest struggles with pricing that many business owners have is wanting to price their products and services for what they are worth but at the same time not wanting their pricing to be too high, just average or too low. As a result of this, many business owners end up making their pricing up as they go. If your prices are too high then you risk alienating or scaring off potential customers because your products and services are unaffordable or out of reach. If your prices are just average, you risk becoming a business that only breaks even but can't quite get to profitability. And if your prices are too low, then you risk coming across as questionable and cheap to potential clients and more importantly, you may struggle to breakeven talk less of making a profit. That being said pricing your services and products do not have to be a complex process. Let's talk about how you can correctly price your products and services. You can't base your pricing on how everyone else is pricing their products because your costs and processes are different from theirs. Your pricing structure should be based on your own costs (of goods) and what you need to earn to break even and become profitable. Your cost of goods, simply put, is what it costs you, from beginning to end, to create your product or service. This would include things like cost of the raw materials, equipment costs, prototype costs, editing, education, electricity, your time, your website, travel costs etc basically anything that goes into making your product. 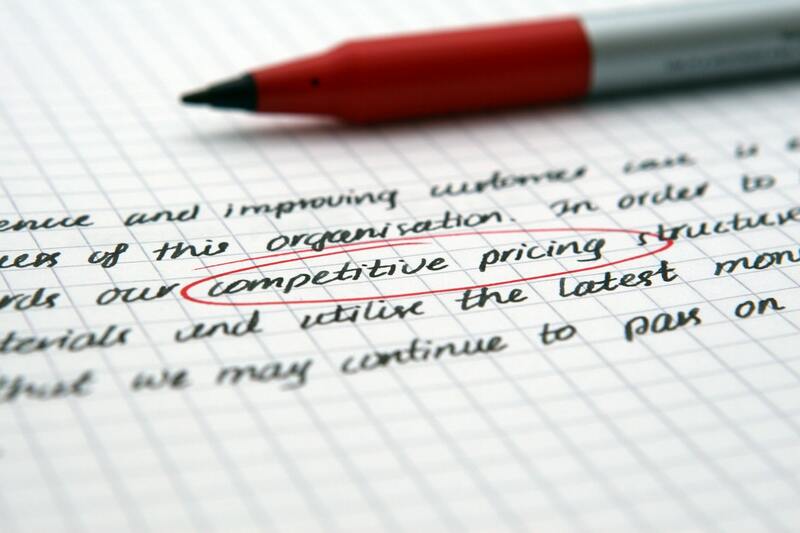 One big mistake many business owners make is thinking that by doubling or tripling their costs they solve their pricing dilemma but that can mean they are grossly under-pricing or over-pricing depending on what the product or service is. Keep in mind that if the costs to produce your products change, you need to factor that into your pricing. Another way to price your products could be adding a markup to the cost to produce your products or services. For example, you can decide you want to earn $150 in profit on each item you sell and so regardless of what the costs are, you add on a markup of $150. TIP: If you want to reduce your pricing, feel like your products or services are over-priced or you want to be more competitive, then as opposed to reducing your profit percentage or your markup amount, focus on reducing your expenses. Read more about pricing methods HERE. In order to educate your customers, you need to make them aware of the value your products and service will provide them, why they can be rest assured that they are getting nothing but quality from you and why you are an expert at what you offer.